Desktops with AMD's $199 Radeon RX 480 graphics card have started to go on sale a month after the GPU was announced. 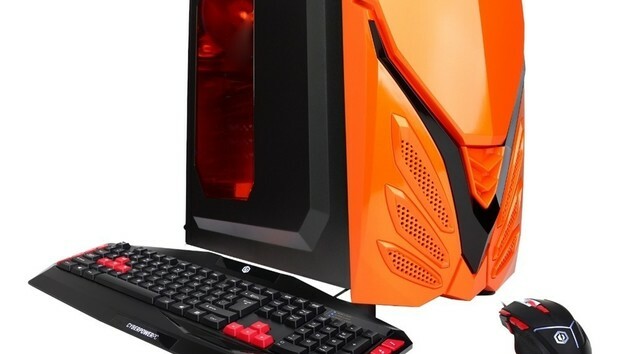 Some of the desktops are priced under $800, which is very affordable by gaming PC standards. That's largely because of the GPU's low price, but the RX 480 is no slouch: it's capable of 4K gaming and makes desktops VR-ready. It's the first GPU based on AMD's new Polaris architecture, but you can expect even faster, higher-priced Polaris cards later this year. Best Buy is selling the CyberPowerPC Desktop with an eight-core AMD FX 8320 CPU and RX 480 for $849.99. It has a 2TB hard drive, eight USB 3.0 ports, Gigabit Ethernet and 16GB DDR3 RAM (not the speedier DDR4 in some gaming systems). Newegg on Monday will start selling iBuyPower's $799.99 Desktop Computer NE648RX, with a Core i5-6400 CPU, the RX 480, and a 1TB hard drive. A similar iBuyPower desktop is listed on Amazon for $749 and will ship in a month or two. CybertronPC, meanwhile, is selling desktops for gaming and VR starting at $999. The RX 480 is an option with Origin's PC Omni all-in-one gaming system, which as a curved screen with 3440 x 1440 resolution and an Intel Skylake chip. A $2,449 entry-level PC Omni has a Core i5-6500, 120GB SSD, 8GB of RAM and the RX 480. A tricked out version, with a 10-core Intel Extreme Core i7 6950X, 32GB RAM, the RX 480 and 4TB SSD storage in two slots, is priced at $5,394. GPU options from Nvidia kick the price up higher. Asus will soon release the ROG Strix RX 480 graphics card, based on AMD's technology. It will work with Asus's gaming PCs and monitors that support AMD's Freesync technology, which links displays directly to GPUs so images are rendered faster on screen. Falcon Northwest has no current plans to sell PCs with the RX 480, but it will if it sees enough demand, said Kelt Reeves, CEO of the boutique PC company. "I'm glad the product is out there. It's great to bring budget VR," he said. Falcon Northwest tends to sell higher-end systems, with average prices of around $4,000, with high performance GPUs like Nvidia's GeForce GTX 1070, Reeves said. If enough people want the RX 480, Falcon Northwest will qualify the GPU and offer it in desktops, he said.